I am a kind of person, who likes spicy food and I ensure while having at home too. Where ever I eat outside, I precisely indicate for a higher spice level. 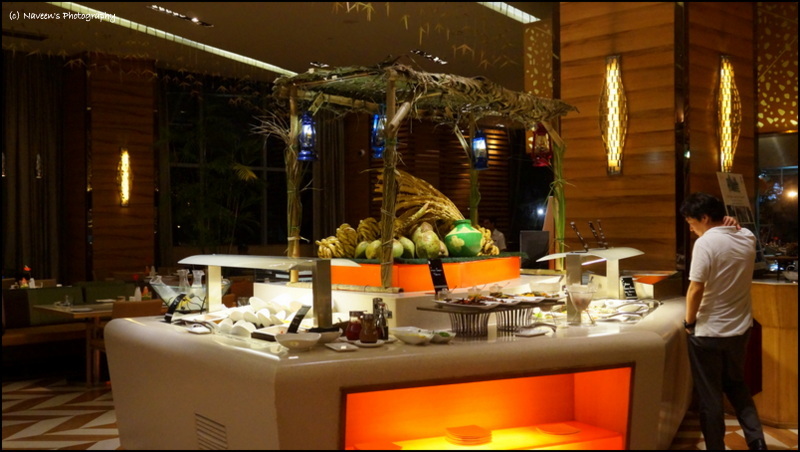 In most of the buffet places, the spice level would be moderate and difficult for them to customize as per my requirement, so I avoid going to such places. 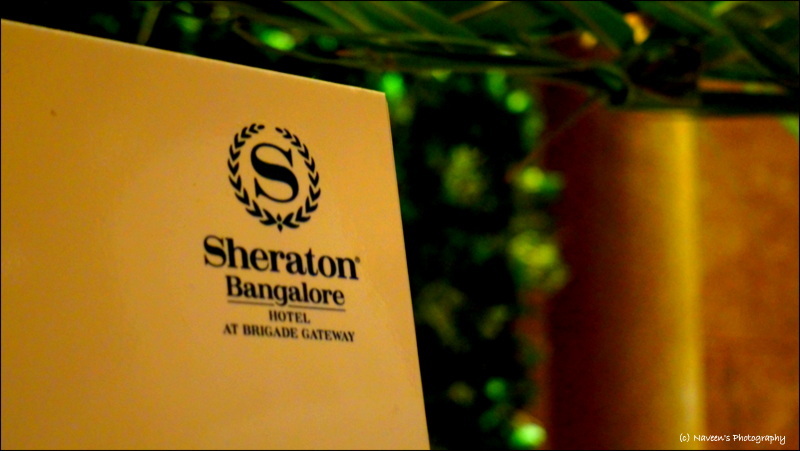 Sheraton Grand Bangalore recently hosted at Blogger Table at “Feast” to try out some aromatic dishes at “Chettinad Food Festival”. The first thing which I thought in my mind is how a Sheraton kind of hotels can prepare such a spicy food. Since it was a blogger table, so I decided to visit, although it’s a buffet. 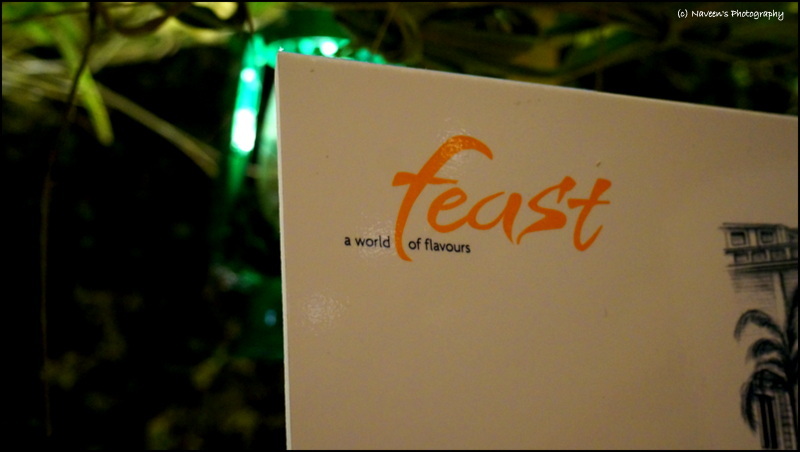 I have been hearing about a positive feedback about the food at “Feast” and that’s one of the reasons to visit. 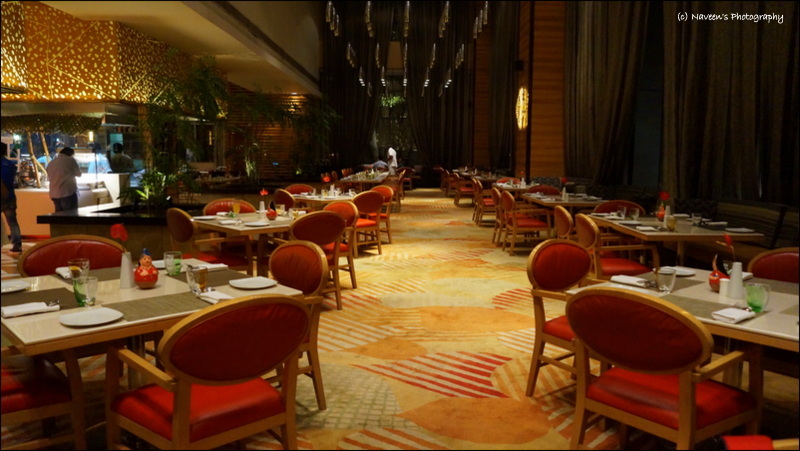 Sheraton Grand Bangalore is one of the prestigious properties in Bangalore and the ambiance of the place has been just fabulous. 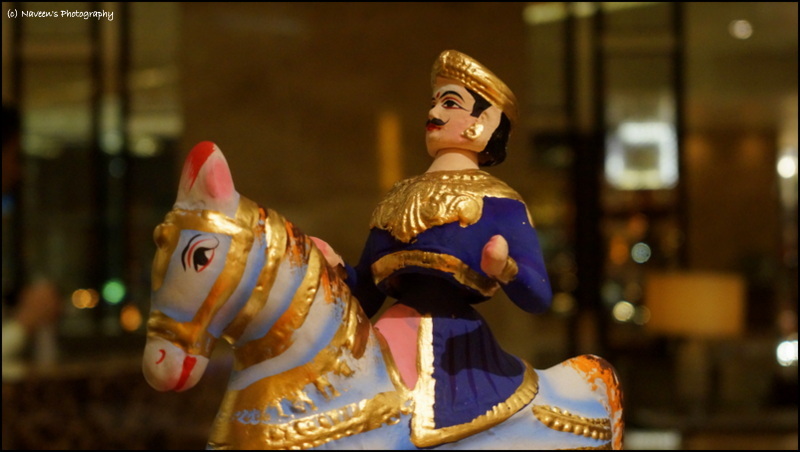 As soon as I entered Feast, the décor took me Chettinad region. 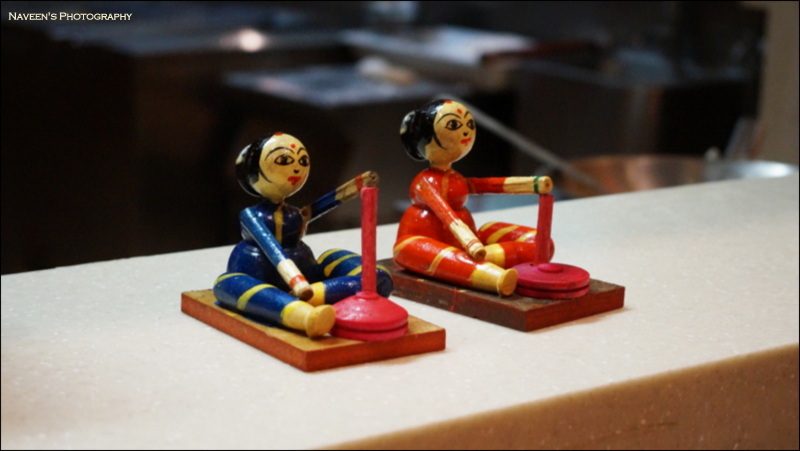 Since, they dressed up the feast into a typical Chettinad Region. 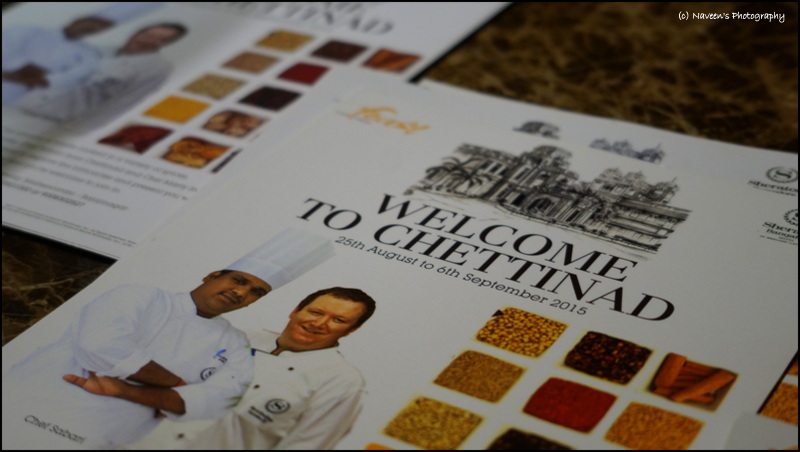 Let me tell you about the background of this Chettinad Food Festival quickly. 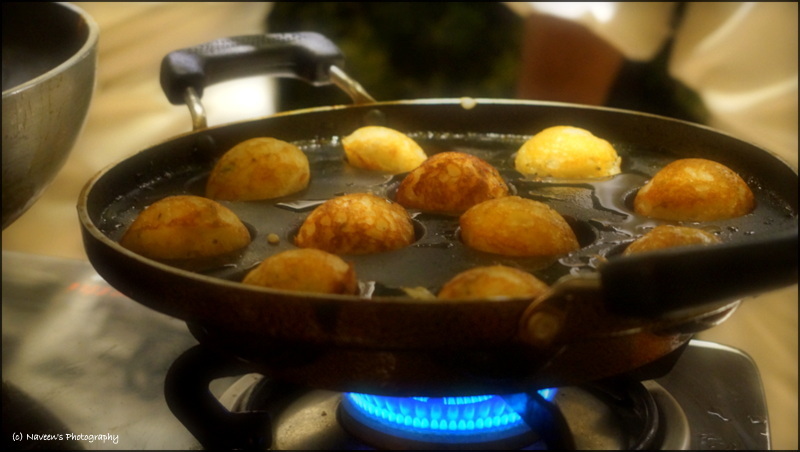 It’s not so easy to host a regional food festival at prestigious hotels like the Sheraton. 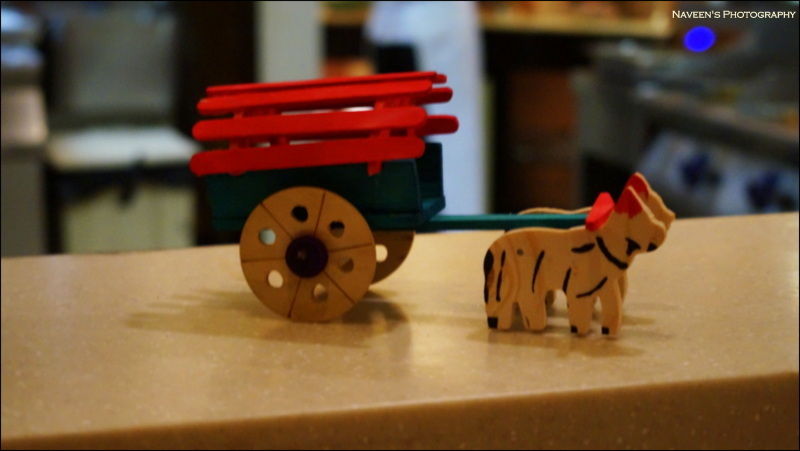 There was so much of hard work and learnings behind this Food Festival. Yes, Chef. 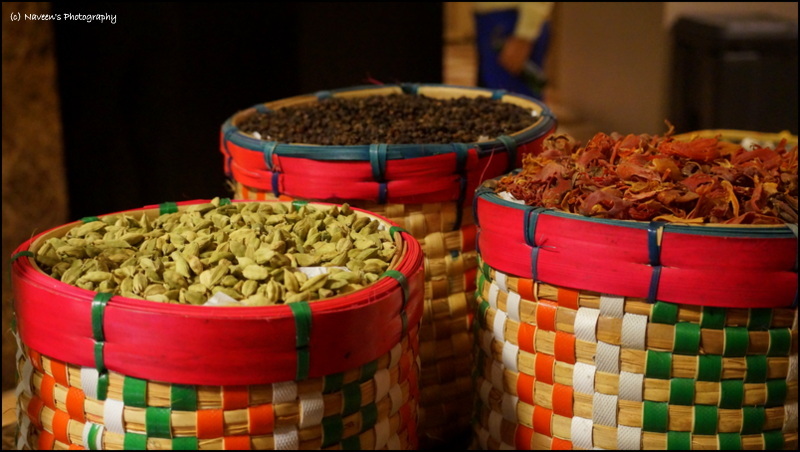 Marty & Chef Shabri were travelling across Karaikudi and Chettinad regions to learn the authentic Chettinad dishes from a Chettiyars. 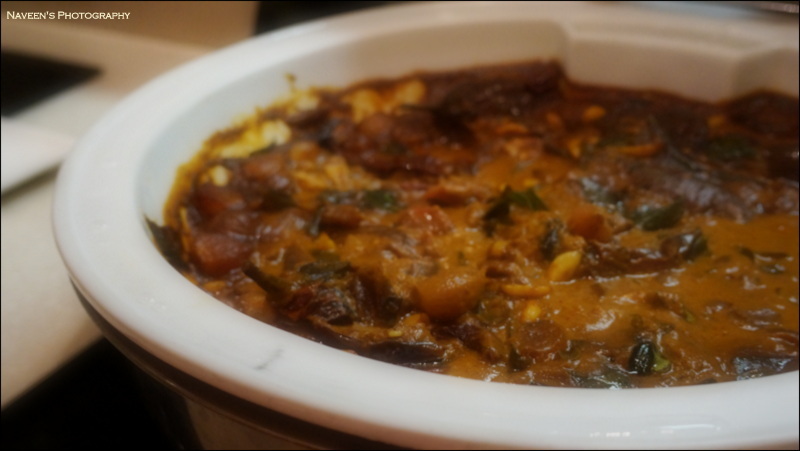 Chettinad cuisine is one of the spiciest and the most aromatic in India. 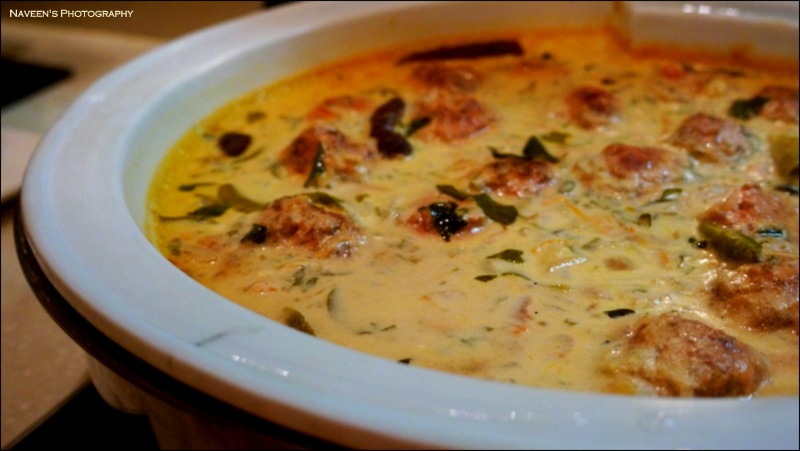 Chettinad cuisine is famous for its use of an assortment of spices used in cooking mostly non-vegetarian food. The dishes are hot and spicy with fresh crushed masalas, and capped with a boiled egg that is usually deliberated essential part of a meal. 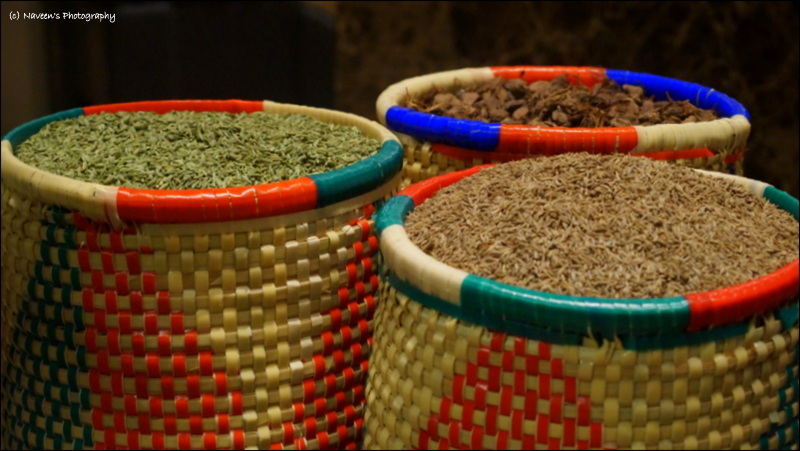 They also use a range of sun dried meats and salted vegetables, dazzling the dry milieu of the province. The meat is restricted to fish, prawn, lobster, crab, chicken and lamb. 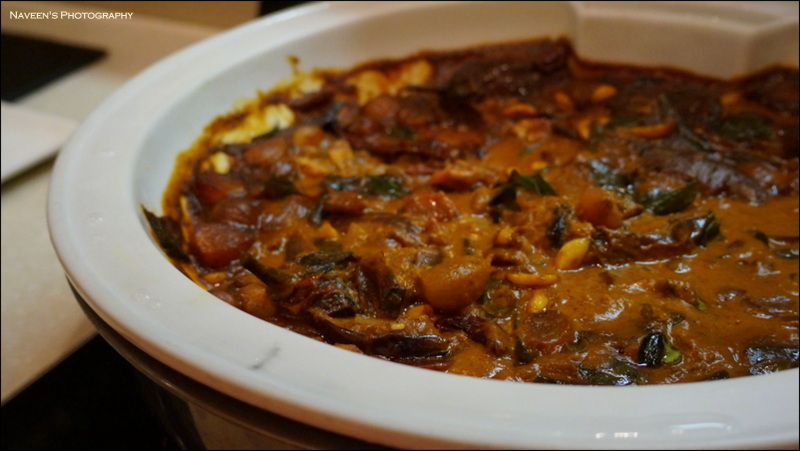 During Chettinad Food Festival at Feast, the spice level and the aroma was one step above than my expectation. The food was brilliant and I never thought that the Star Hotels can prepare such a spicy and aromatic food. There will be something which roaming in a mind; if the food is not up to your expectation, but here I did not find a single criticism in any of the dishes in the spread. 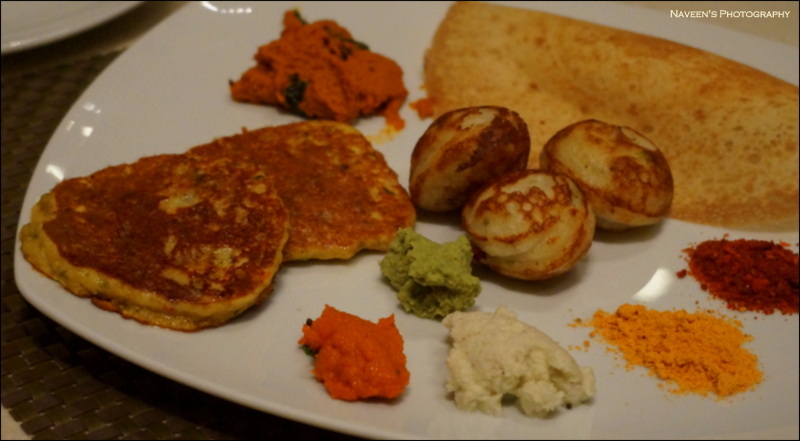 Here are some of the Vegetarian dishes in the spread Idiyappam, Paniyaram, Appam, Adai, Kathirikai Sadam, Kaaikari Biryani, Palak Vada, Mushroom Pepper Fry, Pineapple Kozhambu, Urulam Masala, Ennai Kathirikai and Elaneer Payasam. 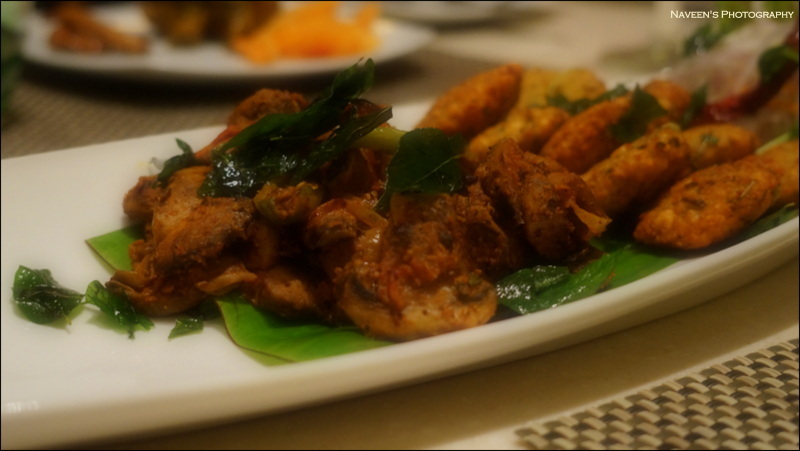 In Starters I liked Palak Vada and Mushroom Pepper Fry – Both were highly spiced with the aroma of Cinnamon and Clove. Especially my throat sensed the flavor. 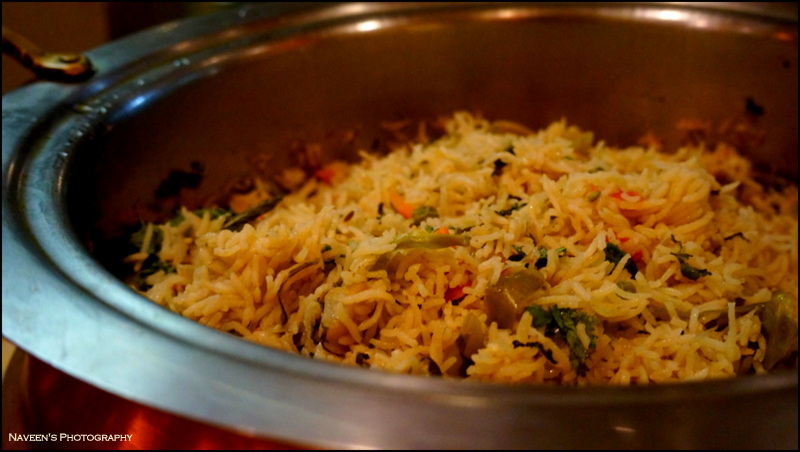 In Main Course, I loved Kathirikai Sadam (Brinjal Rice), Kaaikari Biryani (Veg Biryani) and Pineapple Kozhambu with Rice & Ghee. All these were flavorful with lot of spices again. 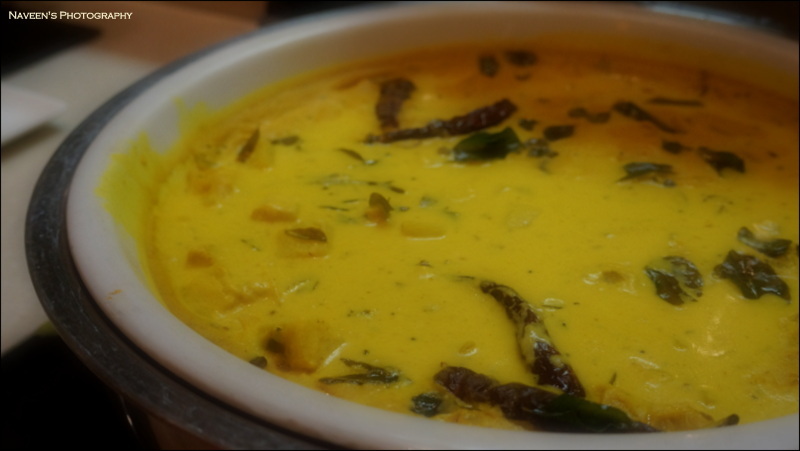 In Desserts, Elaneer Payasam was highlight compare to others, it was utterly energizing. Overall experience was Awesome and appealing!